I was curious to know who is credited with inventing the pedometer. I must say I did not expect to find what I discovered in my research. There is a whole slew of people involved and the answer is not clear cut at all. The Swiss, the English, the French and the Americans all claim to have invented the pedometer. It seems this would be a case even Sherlock Holmes would find hard to solve! Did Leonardo da Vinci Invent the Pedometer? 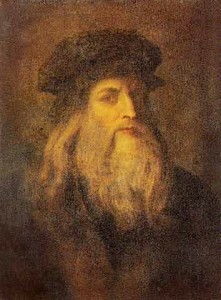 Leonardo da Vinci is generally given credit for coming up with the original concept of the pedometer. Going all the way back to the 15th century, paintings by da Vinci show a device that was used by the ancient Romans for military purposes to calculate the approximate daily distance the troops had traveled on foot. There are also drawings and sketches by Leonardo da Vinci that reveal the design of a gear-driving device with a pendulum arm that would swing back and forth with every leg motion while walking, in other words, a mechanical pedometer. He wanted to measure distance more accurately so that he could make better maps. Did Jean Fernel Invent the Pedometer? 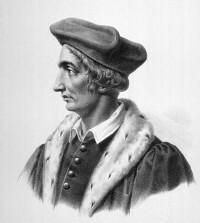 The French craftsman Jean Fernel is also said to have invented the first pedometer in 1525. Made in the shape of a watch it had 4 dials (units, tens, hundreds, thousands) all linked by a single tooth carry mechanism. A walker would attach it on the left of his belt and the corresponding lever by a cord to his right knee. The cord would pull on the lever, and the needle of the bottom dial would advance by one unit at each step. The needle on the tens dial would advance by one unit when it passed from 9 to 0, and so on. 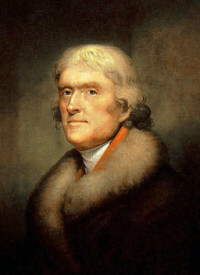 Did Thomas Jefferson Invent the Pedometer? Next on the list is none other than the third American president, Thomas Jefferson, who brought back to America a unit he obtained while on a trip in France. He never applied for a patent on it nor on any other of his inventions, for that matter, so it is not sure if he modified it or left it as is. It became popular and was known as the “Tomish meter”. It consisted of weighted metal balls inside a device that swung on a pendulum. It was worn hooked to the belt and with walking hip motion worked on the mechanical process of the swinging of a pendulum. Did Robert Hooke Invent the Pedometer? 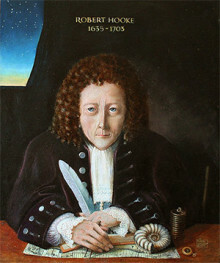 According to his latest biographer, the English scientist Robert Hooke devised a pedometer in 1674 to help surveyors and mapmakers. It was just one of the many scientific instruments that he invented. Did Abraham-Louis Perrelet Invent the Pedometer? 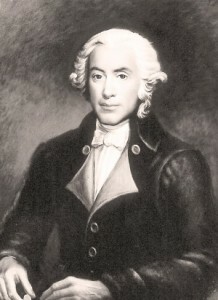 Abraham-Louis Perrelet from Le Locle in the Neuchâtel region of Switzerland is also credited with inventing the first pedometer. In 1777 he was officially recognized as having invented a pedometer-wind watch or automatic watch. This self-winding watch had the basic, motion-sensitive mechanism inside. It was worn in the pocket and was self-winding just by the walking movement of the wearer. It continued running for 8 days and all that was needed to recharge it was an 8 to 15 minute walk. 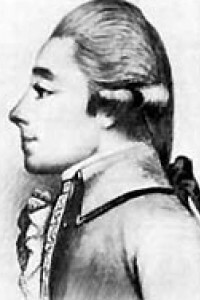 But some have recently disputed that it was Hubert Sarton of Liège, France who invented the self-winding mechanism in 1778. A drawing of the automatic watch signed by Sarton and dated the same year offers valuable proof. 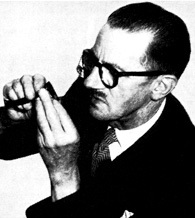 Strangely enough, it was the English watchman from the Isle of Man, John Harwood, who was given the patent in 1924 by the Federal Office for Intellectual Property of the Swiss Confederation at Berne and who exhibited the world’s first self-winding watch at the 1926 Basle Trade Fair. However, getting back to Abraham-Louis Perrelet, he did follow up with his next invention in 1780 of the pedometer that was able to count steps taken and distance traveled while walking. Did Dr. Yoshiro Hatano Invent the Pedometer? Finally, I have an answer and no, Dr. Hatano did not invent the pedometer, although he did help make it become very popular in Japan. It was the Japanese who first began marketing and commercializing the pedometer in the early 1960s. It was known as the “Manpo-kei” (or 10,000 step meter) based Dr. Yoshiro Hatano’s research that 10,000 steps-a-day activity level along with balanced calorie intake led to a healthy, thinner lifestyle. You can read my earlier post on the 10,000 Steps-A-Day program here. Apart from the general consensus that Leonardo da Vinci was responsible for the original concept of the pedometer and that Dr. Yoshiro Hatano did not invent the pedometer, all the rest is left to speculation. There are books written and studies done that could support any one of them as the inventor of the pedometer. I think the best way to sum it up is that they all might have had a hand in it somehow, whether inventing or improving it as best they could. In the end just make sure if you invent something that you get a patent for it! Will Smartphone Fitness Apps Make the Pedometer Obsolete?